The seemingly impossible has happened. There was nary a spark of romantic chemistry between both Kate Winslet and Idris Elba. Who knew that that would have been possible between these two gorgeous people. 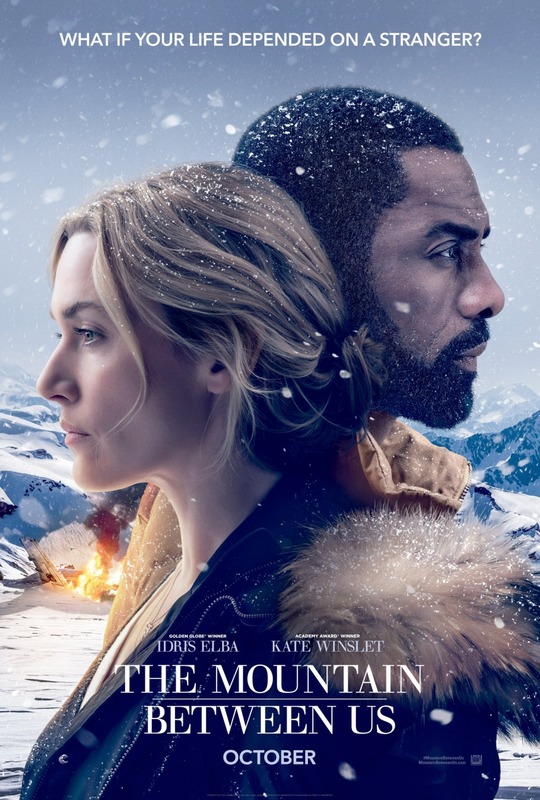 Coupled that non-chemistry with a survival-in-the-wilderness film that lacked realism and grit, this film ended being as frigid as the mountain our two leads were stranded on. The lack of chemistry between Winslet and Elba was not only in the romantic side of things, but also in general. The weak script left much to be desired as bantering gave way to heavy-handedness and Nicholas Sparks-ian dialogue. Unfortunately, as the main stars of the film, these two heavyweight actors did not work. The first fifteen minutes showed potential, as director Hany Abu-Assad effectively set the premise, but from then on, the 112 minutes film just dragged on with many languid moments of waiting and longing and trudging through snow. Abu-Assad and writers Chris Weitz and J Mills Goodloe were egregiously guilty of telling way too much rather than showing. The stars' lack of chemistry, Ramin Djawadi's uninspired score and Mandy Walker's only occasionally beautiful cinematography (it definitely ain't near Emmanuel Lubezki's gorgeous snowscape in The Revenant or Roger Deakin's stark bleakness in Fargo) did not help to unleaden the bloated run time. Abu-Assad's decision to not inject realism in this survival tale was extremely distracting and absolutely did affect the appreciation of the narrative and the characters' predicament. Winslet's silky billowy hair, and her near-flawless makeup throughout was unbelievable; as was the seemingly lack of visible physical changes in the stars' appearance (come on, the magic of CGI and hair/makeup?). All of the above really affected the urgency and realism of the film and the genre (look at the dedication of similar genre films like Everest, or even The Lost City of Z). The lack of urgency really just failed to ignite any sort of passion or empathy in the audience. All that together just made the events unfolding on-screen seemingly eye-rollingly unbelievable and ridiculous. The unnecessarily long epilogue did not help to end the film on a bright note too. It is unfortunate that both Winslet and Elba ended with such a dud. Winslet had moments - brief ones - where she showed glimpses of award-winning calibre acting; whereas Elba failed to excite anybody of his chances to be the next Bond or even Doctor. This film could have been so much more if they had just embraced the poppy aspect of the premise, instead of trying to make it more elevated than it actually is. The film failed to excite me to want to read the original source novel.